Disclaimer: The folks at Tuft & Needle very kindly provided a &Pouch for this review. As always, the opinions are my own. Everyone has a favorite spot. Whether it’s sneaking away for a phone call or claiming a spot for movie night, almost every living space has a go-to seat. For many families, it’s the trusty recliner in the corner or maybe a certain side of the sofa. For our living room, it’s Tuft & Needle‘s new &Pouch foam bean bag chair. The &Pouch arrived on our doorstep a few months ago, and we’ve been enjoying it every day (and movie night) since. Here are the reasons you’ll want to add one (or a few!) to your home. 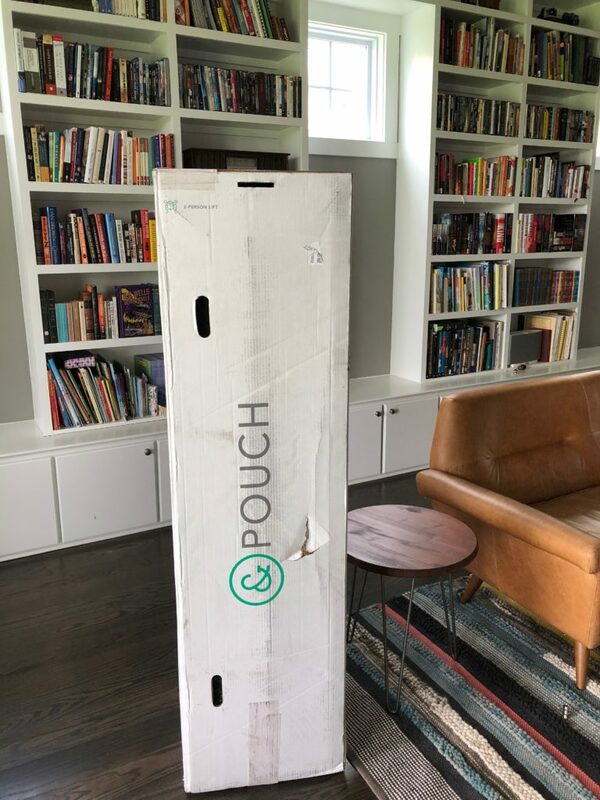 The &Pouch was delivered to our home in much the same way as our beloved Mint mattress: in a tall, surprisingly skinny box. The other surprise is how heavy (73 lbs!) that box feels. It’s definitely a two-person job just getting it in the door. Unboxing the &Pouch is really fun, though. Open it up, roll off the plastic, and the &Pouch will immediately begin to expand and puff up. One word of warning: if your kids are anywhere around you, it will be nearly impossible to keep them off of it long enough for the &Pouch to fully expand and enjoy. 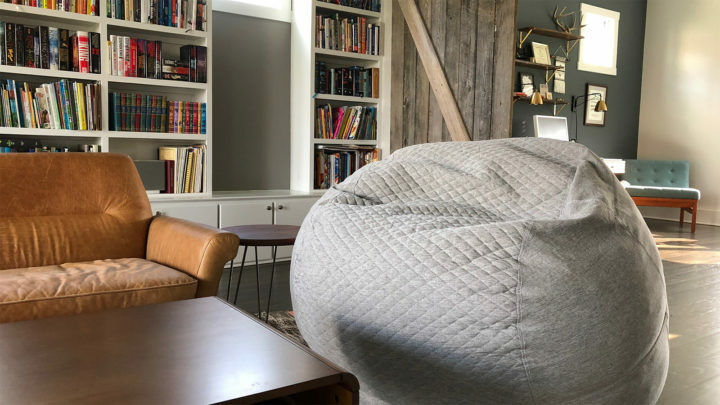 Lauren (my wife) is our resident design critic, and her words about the &Pouch put it best: “That’s the first giant beanbag chair I’ve seen that I actually want in my house.” The &Pouch features a surprisingly durable-feeling knit cloth cover with a quilted support band that comes in three colors (we went with the “Stone” grey). The pattern on the cover is tastefully neutral, and it looks great in our mid-century modern living room. The &Pouch is so comfortable that our kids fight for the right to sit in it, and that’s probably the highest praise I could give it. 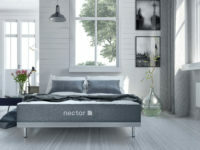 It’s every bit as soft and comfortable as you would hope it would be, and it’s the ultimate “walk in a room and plop down” kind of seat. 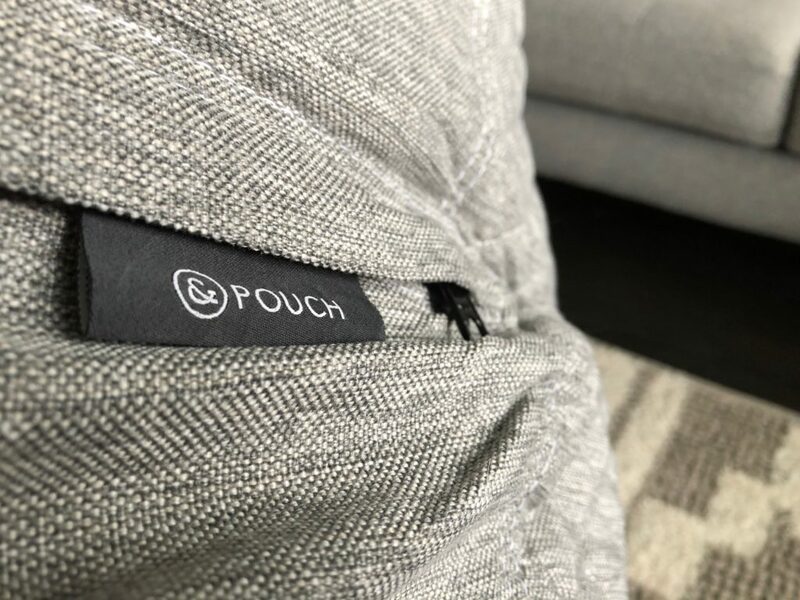 It’s surprisingly firm too; you might expect to sink way down into the &Pouch, but unless you really throw yourself into it, you’ll find that it only tends to sink about 1/3 of the way in, giving your back much more support that you’d expect. That also means that you might find yourself plopping down into it a few times before you’ve sunk into it in a way that’s the seating position you’re looking for. If you gently sit down on it, you might find yourself at a weird angle that you’ll probably want to correct after a few minutes. 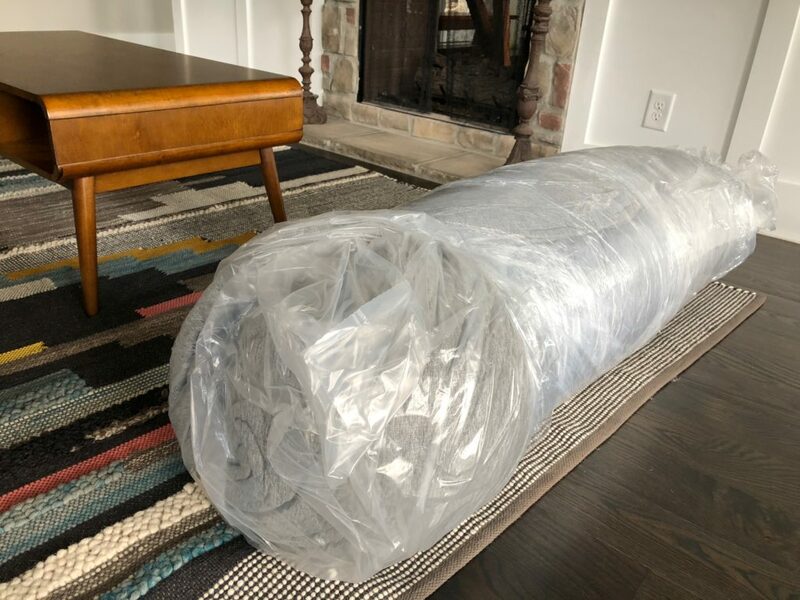 Although the &Pouch feels super-heavy in its box, moving it around your living space (something that will become a popular habit) is surprisingly easy by just rolling it around. It’s also fun to fluff it back up whenever it get’s a little flat. 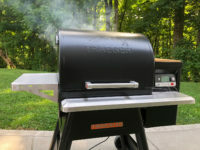 Just roll it over a few times for about 10 seconds, and it will be back to its plump and happy original state. One final useful feature I want to mention is its easy-off zippered cover that stays hidden behind a simple flap. 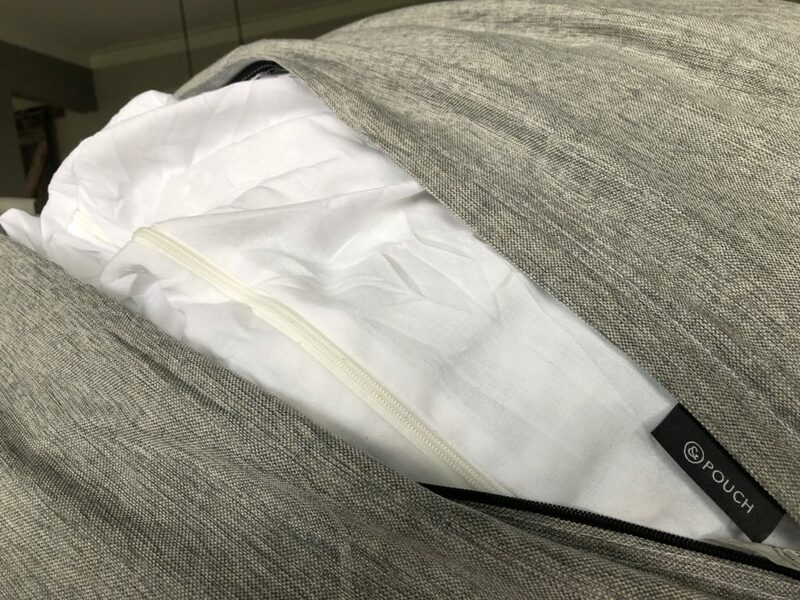 The heavy-duty cover seems like it can take a beating, but it’s reassuring to know that it’s easy to zip off and throw into the washing machine if disaster ever strikes. I can’t emphasize enough how sturdy the &Pouch’s cover is. Some of our friends have competing bag chairs, and their fabric is already pretty beat up after only a few year’s use. The &Pouch’s knit cover is of a tangibly nicer quality. I also love that the &Pouch has a 3-year warranty, though I can’t see anyone ever using it. The foam is dense and springy, and it seems like it would take some pretty extreme use-cases to wear this thing out. 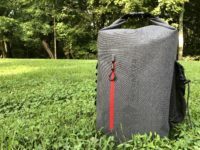 At $450, the &Pouch is priced both lower than some its more well-known competitors, and higher than the cheapo bag chairs you can find on Amazon. After using it for a few months, I think that price is spot-on. The &Pouch is much more comfortable that its more expensive competitors, and is of a much higher quality than the cheaper chairs. 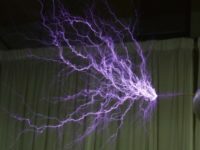 It’s a terrific investment in your family room. 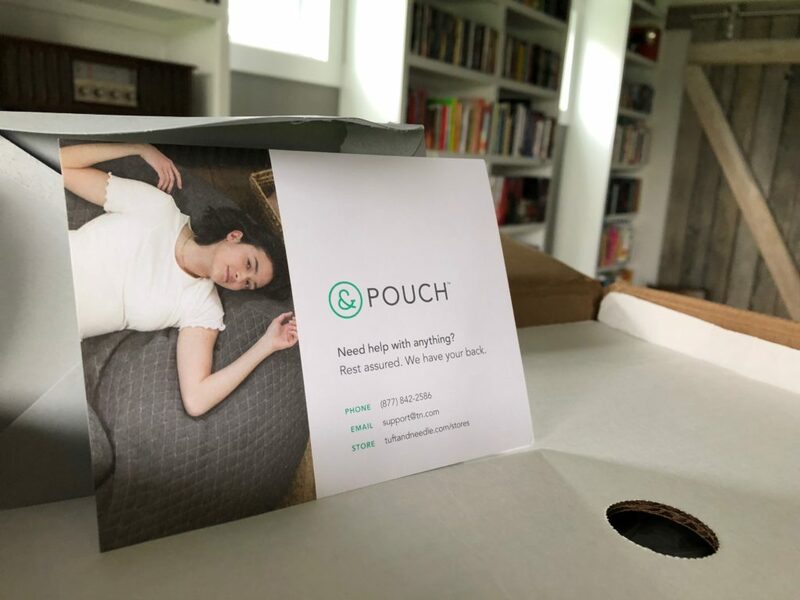 The &Pouch will immediately turn any living space from stuffy to comfy, and become one of the most sought-after seats in your home.